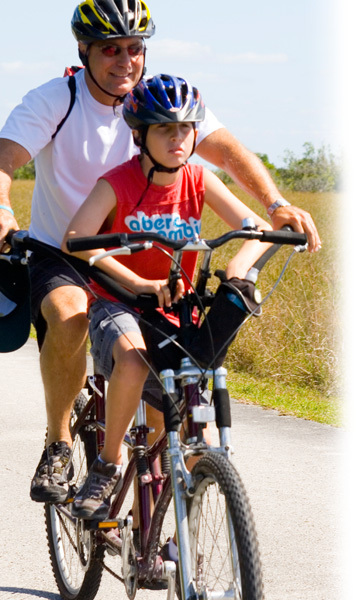 1) Make sure the Buddy Bike is the right choice for your family's needs. All sales are final so if possible, arrange a test ride. If not, these pages may help you decide: Customer Comments, FAQs, YouTube Channel. 2) Find a Buddy Bike authorized dealer and test ride locations at Dealers & Bike Rentals. 3) No dealer near you? Order direct from Buddy Bike. 4) Choose your Buddy Bike model and accessories. Visit Products & Pricing and Side-by-Side Model Comparison. 5) Review our Shipping Policy. Worldwide shipping is available. 6) Provide the name, address and phone number of a local bike shop that will receive and assemble your Buddy Bike. Review the Buddy Bike Limited Warranty. 8) Explore our Funding Options and Alternative Funding pages to see how other families have obtained medical or alternative funding to purchase their Buddy Bikes as therapeutic equipment. 9) Looking for a bargain? Check out our Reduced Rate Bikes. BEFORE YOU BUY ONLINE READ THIS! then carefully review our SHIPPING POLICY. We have a no returns, no refunds policy. is the right choice for you and your family. A NEW WAY TO PAY AT BUDDY BIKE! With Square installments, eligible customers can select to pay over 3, 6, or 12 months at 9.99% APR. Available to residents in CA, CO, FL, NJ, NY, VA only. To get started, contact shelley@buddybike.com.